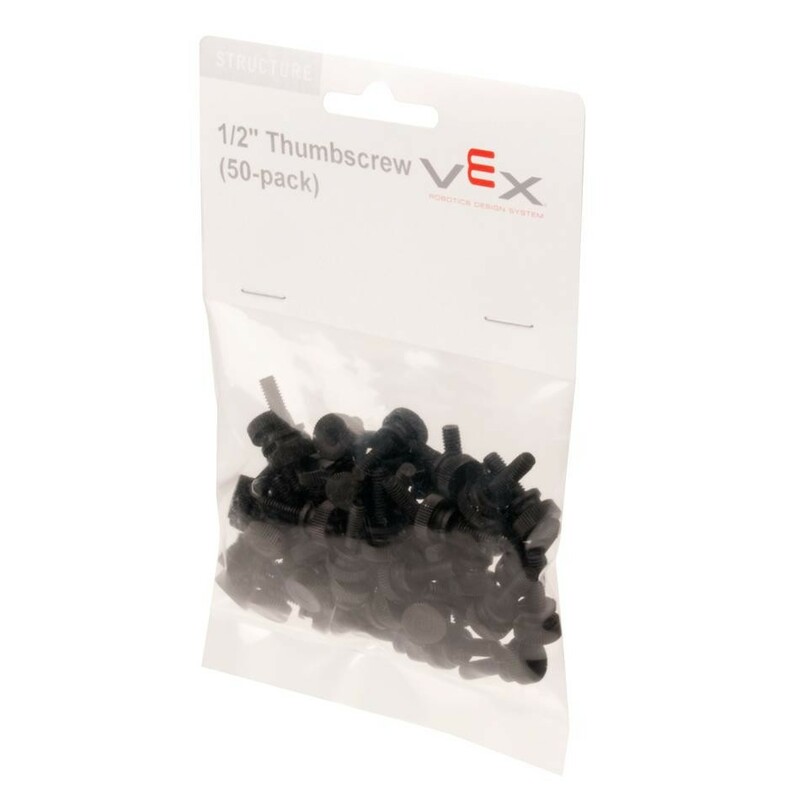 These plastic thumbscrews are the same size (8-32) as standard VEX screws only they have a 0.428" diameter knurled head so they can be tightened or loosened by hand. Availability: 47 In Stock. Backorder available. Great for applications where a screw will be inserted or removed multiple times, such as robot access panels or battery mounts. 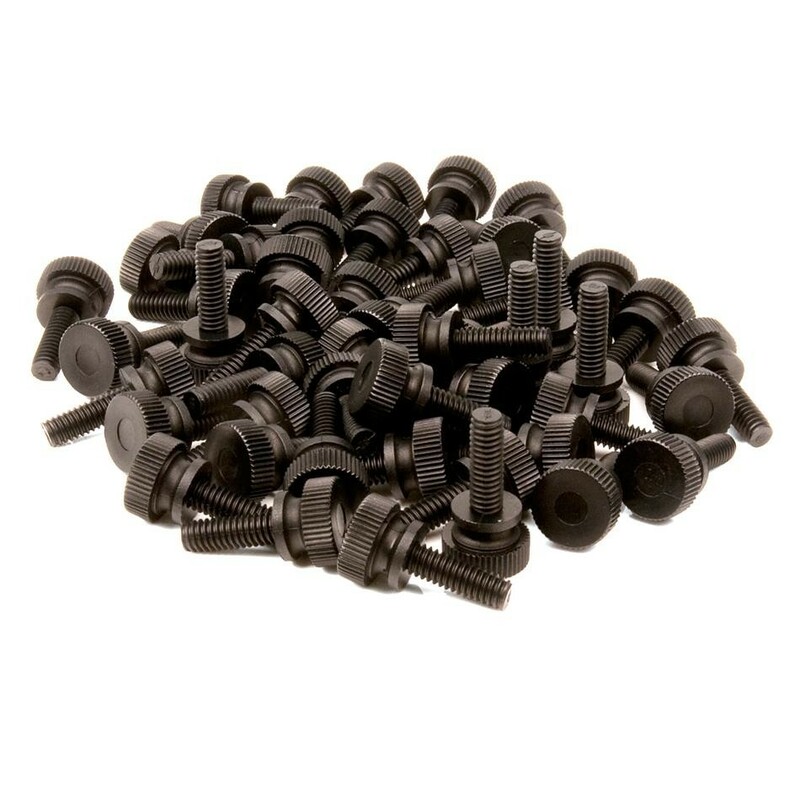 50 ea of the 1/2" Thumbscrews. 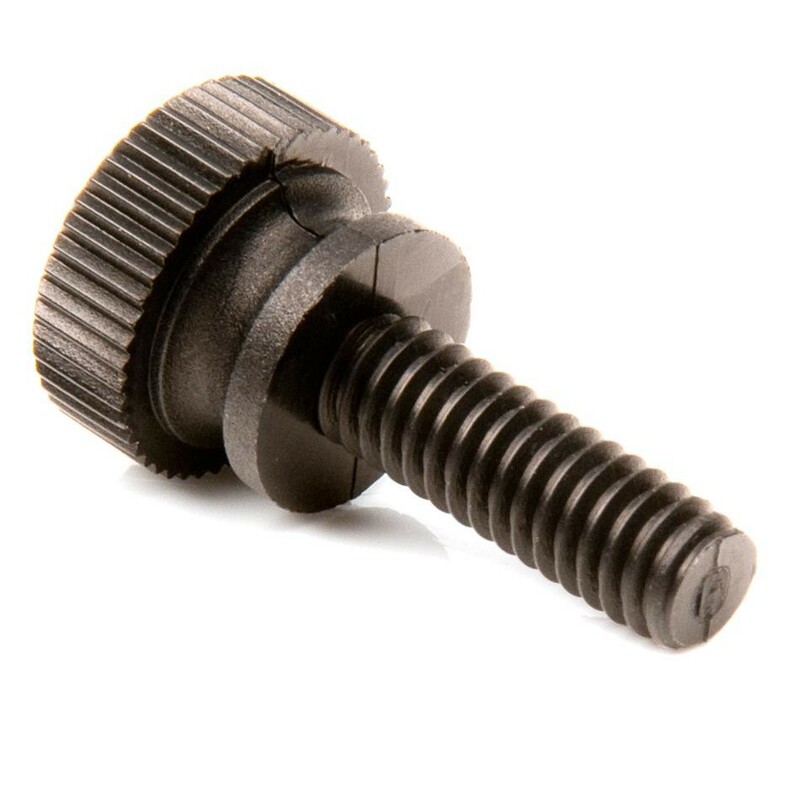 Compatible with all standard VEX nuts and standoffs. Weight: 0.002 lbs (0.907 g). Actual weight of one item with no packaging.